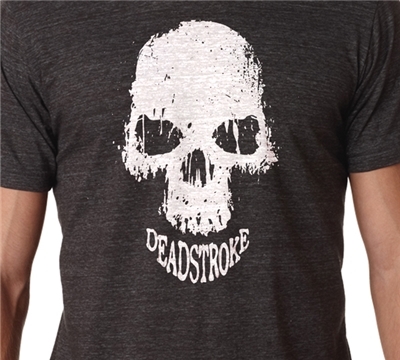 Our Deadstroke t-shirts are made right here in the USA out of 4.2 oz 50% cotton, 50% polyester. These high quality light weighted Tee's will last for years. Available in S, M, L, XL, 2XL, 3XL, and 4XL. Made in the USA. This shirt features the a Deadstroke design on the front.